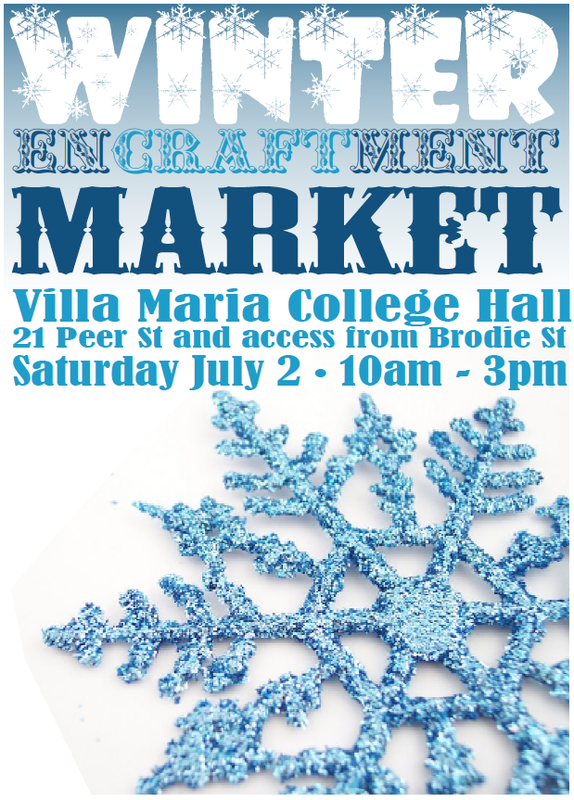 The next market I have coming up is the Winter Encraftment Market on July 2nd at Villa Maria College Hall, from 10am-3pm. This is a new market, and with over 50 creative stalls, there will be something for everyone. Bags, gifts, crafty items, toys, games, kids decor, vintage and modern jewellery, clothing, crafting supplies, homewares, garden art, children's clothing and accessories as well as amazing food, coffee and hot chocolate. You will find goodies from Locket, Mudbird NZ, Feltgood, Green Jean, Cloudnine, Relique, The Wardrobe and many more. Forget the malls, come beat the chill of winter and the shaky ground with some retail therapy at Encraftment!